I don’t know about you, but I’m starting to go broke with my $4 a day medium cold brew. The rest of the year I’m pretty good at bringing coffee from home, but I just can’t get on board with hot coffee on 80 degree days. The summer might be over but it doesn’t seem like the heat is going away anytime soon. In fact, for a fairly mild summer, it seems like some of the hottest days are ahead of us. Luckily, I’ve figured out a way to still enjoy cold brew every morning without the hefty price tag. 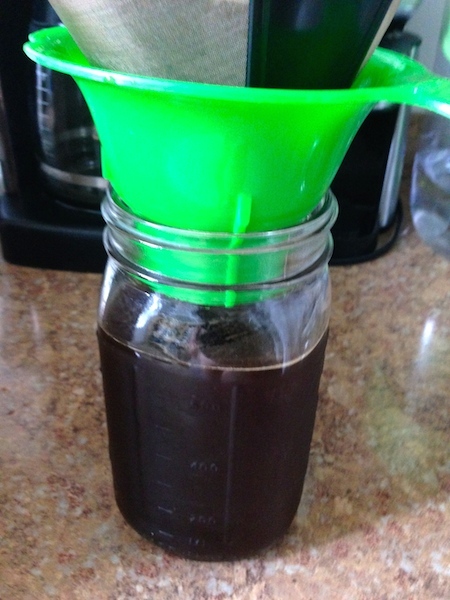 It was my husband who first showed me how simple homemade cold brew really is. I woke up one morning, rushing to get out the door as usual, and there he was in the kitchen presenting me with a giant iced coffee. My husband doesn’t cook or spend much time in the kitchen, unless it’s to pull a beer out of the fridge, but he’s serious about his coffee. Of course, I immediately needed to know the coffee secret. The most complicated part is planning a day in advance as the coffee needs to steep for 12-14 hours. Cold brew heaven is just half a day away. Grind 1 cup of coffee beans on the coarsest setting. 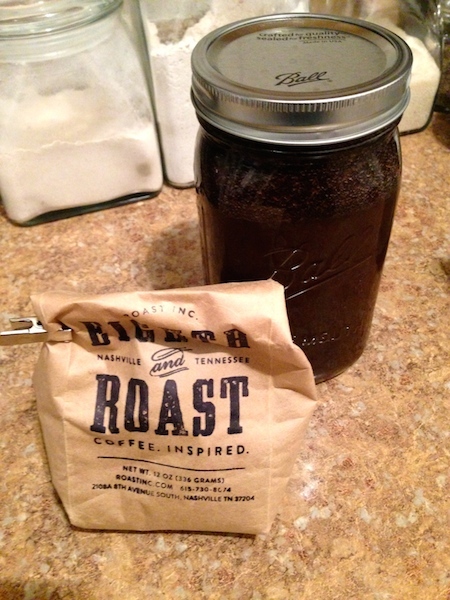 Pour beans into mason jar and add about 1 cup of water. Stir beans and coffee (this is important so the ground coffee doesn’t stick to the bottom and not blend with the coffee. Fill the mason jar with water to the top, tightly seal and shake to fully mix the solution. Store in the refrigerator overnight for 12-14 hours. The next day, strain the coffee mixture through a coffee filter or several layers of cheese cloth into a clean jar. You should end up with about 3 cups of coffee concentrate. 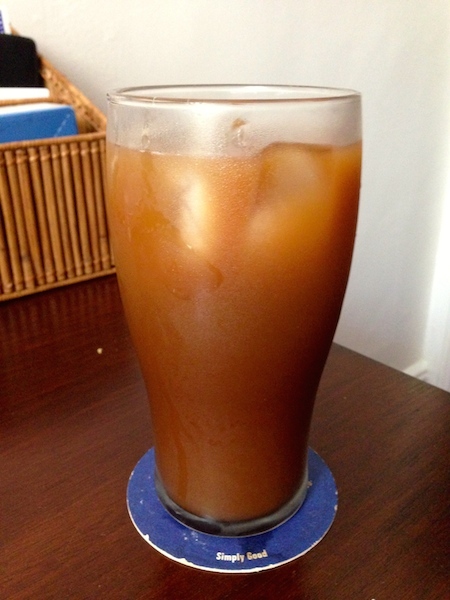 To make coffee, fill a glass with ice, then add 1 part coffee concentrate to 1 part cold filtered water.